Gentlemen, each day you’re subjecting your face to an assault of harmful chemicals, cheap detergents, harsh preservatives and synthetic fragrances. The Elvado Bio-Pure formulations are loaded with African Shea Butter and aloe vera for ultra-hydrating and soothing after Shave balms. Witch Hazel: Witch Hazel's most impressive properties are its anti-inflammatory effects on conditions like razor burns, skin rash and bug bites. Witch Hazel also has great anti-microbial, astringent, sun burn care and moisturizer properties as well. Shea Butter: an excellent source of Vitamin A, E and F as well as essential fatty acids and proteins. 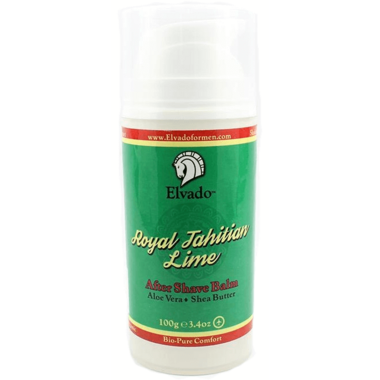 These natural healing properties provide intense moisture, promote cell renewal and protect against harmful UV rays. Essential Oils: Most essential oils are high in antibacterial, antifungal antiviral, anti-inflammatory and healing/protection properties. Essential oils are small in molecular size and are absorbed well by the skin. Many EO's are intended to heal, soften, and nourish skin. Avoid Eye Contact. Discontinue use with irritation. Keep Away from Children. THIS IS THE BEST STUFF. AND LEAVES A COOLING SENSATION AFTER SHAVED.Absolutely love this After shave cream!,Just after the first time using this product my skin felt so soft! Love that it is paraben free and natural ingredients. The cream hugs your skin allowing a great close shave. Absolutely love this After shave cream!,Just after the first time using this product my skin felt so soft! Love that it is paraben free and natural ingredients.This is a great natural after shaving cream. Because you only need to use a little, it lasts a long time!. The scent and thick texture of this cream is wonderful and clean, it makes for nice after shaving. Have to say again, smells soooo good!!!. Excellent Product - Highly Recommended! I'm not too crazy about the scent, a bit medicinal to me, but it disappears quickly anyway. Superb aftershave balm! Goes on smooth, spreads nicely, quick absorb. Makes your skin, amazingly soft and irritation free. Fragrance is lime. Would buy again, hands down.